Flamingo Fishing is by far the most productive inshore fishing in South Florida. Redfish, Snook, Tarpon, and SeaTrout are abundant in the rich, pristine waters of Florida Bay. While there are a variety of fishing guides and charter outfits that visit Flamingo on a regular basis, Capt. Raul Montoro has fished this diverse ecosystem for over 30 years. Specializing in Fly Fishing and live bait fishing for redfish, snook, and tarpon, Shallow Tails Guide Service provides resident and visiting anglers an opportunity to explore areas of Florida Bay which are rarely fished – providing an unparalleled opportunity to experience the best fishing Flamingo has to offer. A guided Florida Everglades fishing trip is a unique experience, as multiple species can be caught year round. The Flamingo Everglades are a labyrinth of mangrove lined tidal creeks, estuaries, and grass flats that are teaming with life. 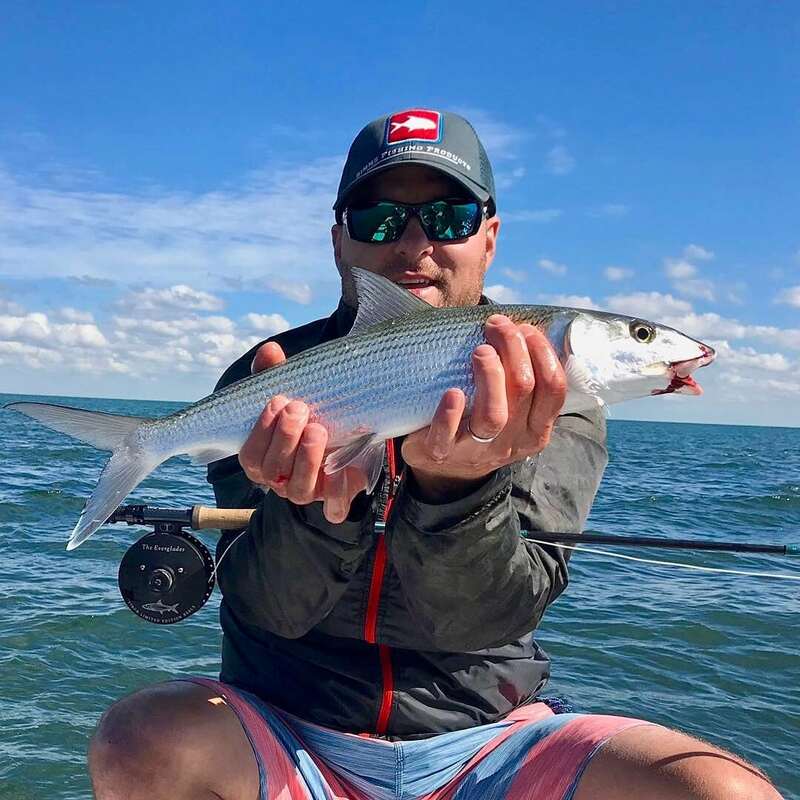 Backcountry fishing guides who specialize in exploring the waters of Florida Bay consider Flamingo to be the pinnacle of shallow water angling as there are no other ecosystems in Florida that offer such a profound variety of gamefish. As a primary breeding ground for Snook, Redfish, Tarpon, and SeaTrout – Fishing in Flamingo is nothing short of amazing. The fish which reside in Flamingo readily eat flies, shrimp, crabs, mullett, and jigs, but the real challenge is finding them at exactly the right tide window. When you book Capt. Raul Montoro as your Flamingo Fishing Guide, you are investing in a back country fishing experience that will set a new standard for shallow water angling. 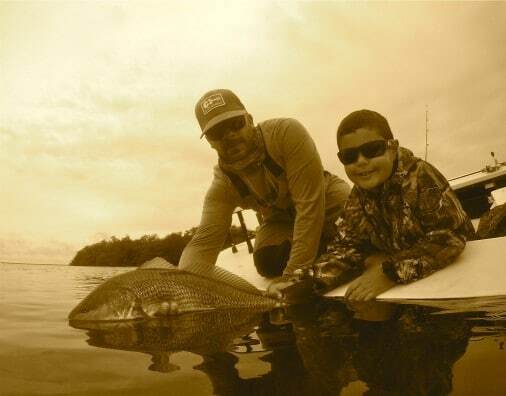 Whether you prefer Fly Fishing for Redfish and Snook or live bait fishing with mullett for Tarpon – Capt. Montoro intimately understands the tides and delicate ecological balance of Florida Bay. As a native Captain, he has fished Florida bay for three decades and there is simply nothing more important than experience when it comes to maximizing your time in this breath taking south florida fishing destination. The vast fertile waters of Florida Bay provide shelter for juvenile species of Redfish, Snook, and Tarpon, which makes it a primary feeding ground for gamefish of all sizes. While trophy fish come into these waters principally to breed or stock up on food for the winter months, juvenile fish feed regularly. Fly Fishing affords anglers an opportunity to target aerobatic baby tarpon – often in schooled up in pods which stay tight to the mangroves. Finding schools of feeding redfish and tarpon is what Capt. Montoro does best during his guided fishing trips to Flamingo. Aside from chasing Tarpon and Snook around the mangroves of Florida Bay, Capt. Montoro is an expert at finding monster snook. Many of the Snook caught on his Flamingo fishing charters range from 5 to 15 lbs with a few larger fish mixed in. Aside from the consistent action and monster Snook, Redfish, and Tarpon which are often caught during a Flamingo fishing trip, the natural beauty of Everglades National Park is visually stunning. Florida Bay is a World Heritage Site and International Biosphere Reserve – known for serving as a rookery to migratory birds including spoonbills, hawks, egrets, herons, and of course – flamingos! For avian, nature, or Florida ecology enthusiasts, it simply does not get any better than Flamingo. There are few fishing guides who truly appreciate the delicate and untamed beauty of Florida Bay, but Capt. Raul is a conservationist at heart. Shallow Tails Guide Service practices catch and release fishing in Flamingo in order to preserve the environment and contribute to future generations of Redfish, Snook, and Tarpon. There are few places in the world where such a tremendous variety of aquatic life can be found in one area – in order to truly undertand, you must experience all that Florida Bay has to offer for yourself. Whether you prefer to book a fly fishing trip in Flamingo for Redfish and Snook or a use live bait to catch Tarpon and Sea Trout, Capt. Raul can accommodate you. When you book a Flamingo fishing charter with Shallow Tails Guide Service, you are signing up for a incredible journey into the heart of Florida itself – an untouched natural paradise of angling excellence and unspoiled natural beauty. Fishing in Flamingo is an experience unlike any other, so be sure to bring a camera to document your day and the wild life you will encounter. Shallow Tails Guide Service takes pride in sharing the majesty of Flamingo, and the back country of Everglades National Park with anglers of all skill levels. 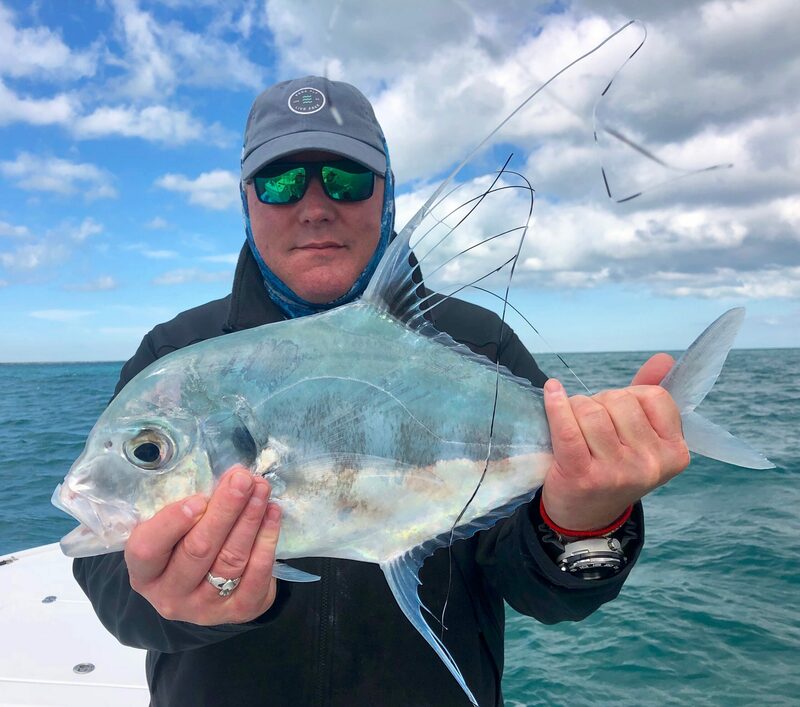 Flamingo Fishing offers a challenge for new anglers and experienced anglers alike – this is a fishing paradise that is truly unrivaled in South Florida.